I love engaging in service-learning art activities with my students. Years ago I coined the teaching philosophy, “Art with Purpose.” It’s been fun to see where teachers go with this concept. Working it into my curriculum has helped create exciting lessons that go beyond the typical standards. 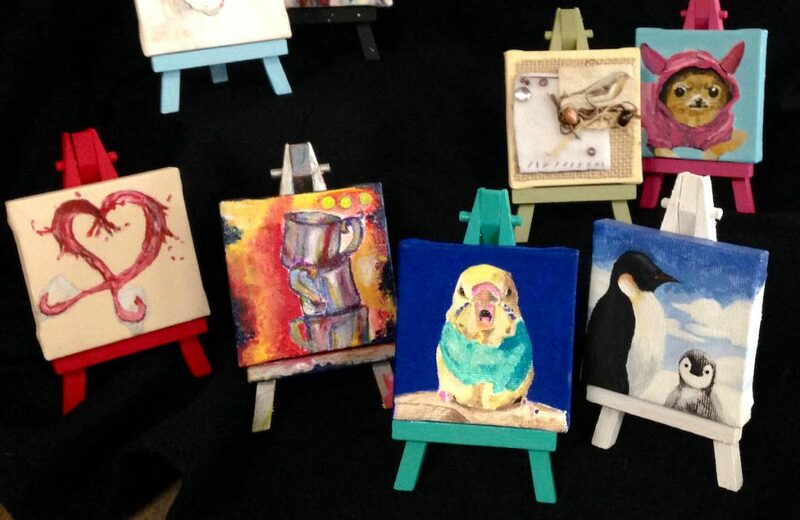 Let’s take a look at one small service-learning project with huge results: The Mini Art Exhibit and Auction. 1. Introduce students to the world of miniature art. 2. Set parameters on how much time students have to work. 3. Allow for freedom and experimentation. 4. Extend this into a mini art auction. 5. Have student’s research charities to share the profits. Check out this awesome book to get you started: Think Small: The Tiniest Art in the World, by Eva Katz. This book describes the work of twenty-four artists who work on an incredibly small scale. Here are four artists I love to share with my students as we begin our lesson. Hasan Kale paints on small surfaces with an astounding intensity. Talk about an engaging artist to teach to your students! Rosa de Jong creates works she calls, “Micro Matter.” Her works are so small they fit inside test tubes. These are beautiful works that share how industry meets nature. Salavat Fidai is a Russian artist who carves pencil leads into amazing works of art. Your students will be wowed by his intricate details. Lorraine Loots produced a miniature painting every day for an entire year in her collection titled, Paintings for Ants. Her work is astounding! 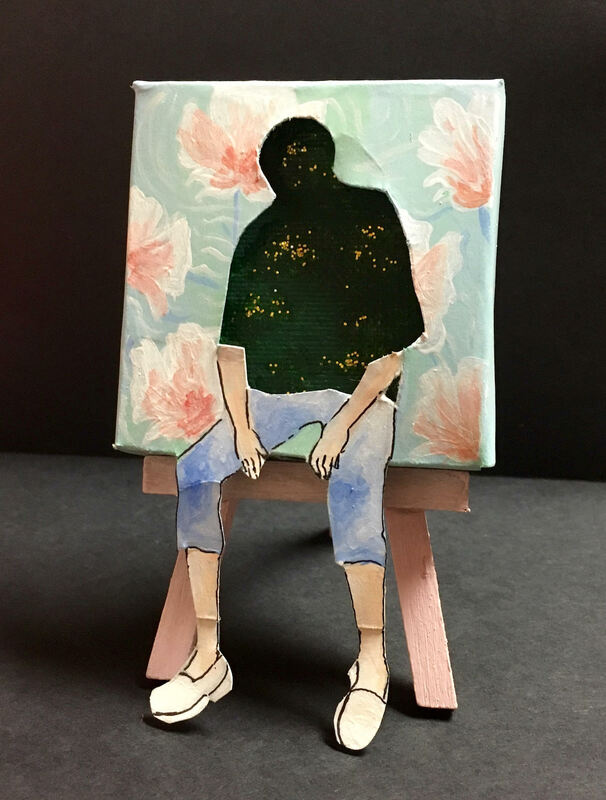 Students will have two to three, fifty-minute class periods to create a piece of art using 2” x 2” or 2″ x 3″ mini canvases and accompanying mini easel. Ordering a class set is much more affordable. If your budget is tight, you can always have students paint on the same size cardboard or posterboard, and make their own easels out of Popsicle sticks. Open this lesson to include all media, so students can explore, play, create, and learn. I have found these small surfaces tend to be less intimidating than the large surface areas they are often required to work on. You could be finished after this, and your students would be very pleased, but we take it one extra step and have a mini art auction. Students invite their families, friends, and community members to come and bid on these fantastic artworks. We start the bidding at ten dollars and have had some sell for as much as $180 (it was a Monet inspired piece). This event has become a huge success! One powerful thing to do is let your students choose where they would like the profits to go. At my school, we did a separate project where we donated the proceeds to Relay for Life. For this particular project, my students donated to the NUCDF in memory of my son, which was so special and touching. Let your students research different charities and pick which they’d like to support. Imagine the possibilities of having your students create from their hearts to make art that will impact the world. Combining art and service-learning is an experience they won’t soon forget. Think about all the creative ways you can use this mini-lesson to reap grand rewards! 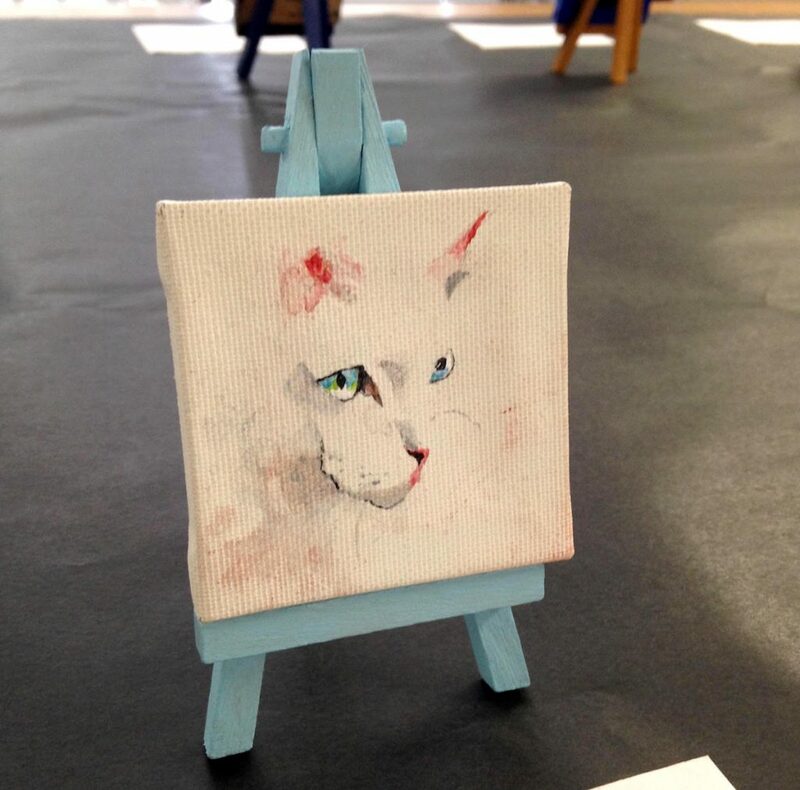 Have you had your students create miniature artworks? How do you incorporate service-learning ideas into your practice? The post A Mini Lesson with Grand Rewards appeared first on The Art of Education University.